Need a Good Sticky Label? Printed self adhesive labels are a great way to promote your business, to label a jar to advertise the contents of the insides or even to label fruit in a supermarket. There are lots of ways we can use labels to advertise or decorate but what really makes a good sticky label? A great sticky label needs to have the correct adhesive depending on where it is going to be placed. An average sticky label with a permanent adhesive may not adhere to frozen ice cream tubs which therefore would not make a good sticky label. 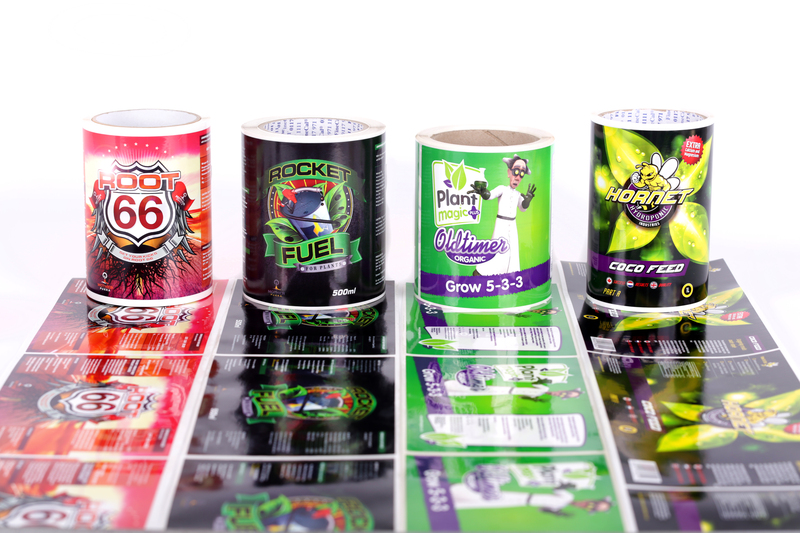 Choosing the right adhesive for the sticky labels ensures that the label will remain bonded to its subject for however long the customer wants it to be there for. Our range of adhesives for labels include permanent adhesive, peelable adhesive, freezer adhesive or more. Depending on where the label will be stored and its application, the adhesive of the label can depict whether it makes a good or bad sticky label. Another factor that determines a good sticky label is the quality of the print, the colour and the finish. A blurry, colour clashing dull sticky label is not going to sell a brand well. Consequently a high-quality, full colour glossy sticky label is going to do wonders for advertising your brand. The finish of the label can completely change the colour of the label. Therefore choosing wisely between a matt finish, a non-shiny non-gloss finish, and a glossy finish, a shiny and glossy finish. If you are using a variety of colours or even brighter colours on the printed label, a glossy finish can highlight and intensify the colour. The glossy finish brings the label and the product to life, helping your products to be sold in the supermarkets. Whereas a glossy finish on a barcode sticky label may reflect light causing issues with scanners, whereas a matt finish on a barcode makes a great sticky label as it can hold ink better and you can write on the matt material too. A great sticky label is one that conveys it's information over to the customer within seconds. Something that is vibrant, attractive and depicts its contents is a label that sells well in shops. Whilst a bar code label needs to be able to scan immediately. Other useful information to include on your sticky labels are website URL, contact information, phone number, email address, address and any other information required for a customer to get in touch. A good sticky label should not only be attractive for the consumer but convey detail about the business too. There are many important factors that create a great sticky label but we have just listed a few. Each label is different depending on what it is being used for. Get in touch with our office on 0117 971 1111 or send an email to labels@finecal.co.uk to see how we can design and print great sticky labels for you.